Migrants trying to board a lorry on the French coast in September 2018. This comes less than a month after Home Secretary Sajid Javid declared a "major incident" over a number of illegal crossings of the English Channel. Mr Wood added that often illegal migrants end up in the "black economy" and living in “worse conditions than where they have come from”. He added: “You see a lot about people coming here for the benefits but in my experience I don’t think there are many coming here because they think they can get benefits. “They come here to work but they have an unrealistic expectation of what they can do here. “They are led to believe that the UK has got the streets paved with gold and once you get here you will have a fantastic life. “Of course it does not work out for them, particularly when they are working in the ‘black economy’. In a report published in January, Mr Wood found that less than half of migrants who failed to to gain asylum were subsequently removed, with many of them entering into illegal work within the "black economy" instead. Out of over 80,000 applications between 2010 to 2016, only 29,659 migrants were removed - leaving 51,154 failed asylum seekers in the country from that seven-year period alone. He told Graham: "I worked at the Home Office and I had responsibility for a lot of the immigration system so I know the system very well. I am not surprised by it. "The situation has got worse undoubtedly and it is not asylum seekers that the Home Office seeks to deport, it is those who claim asylum but their claim is refused by the Home Office and the courts." Mr Wood described three reasons the Government is failing to deport these migrants. "I think there are three main reasons why they are not being deported. One – with the legal system there are lots of opportunities to appeal and mount legal claims." he said. "There is also difficulty obtaining documents for foreign nationals. They have no documents on them so trying to identify who they are and where they come from. "When you then go to any embassy and say you need a travel document for this person to return them home, lots of countries do not cooperate or are not satisfied with the identity so the people cannot be removed. "Lastly, austerity has meant there was a reduction in resources and detention space in the immigration system to enforce these rules. You have got the triple whammy that has led to the overall reduction in removals and deportations from the UK. "Some of them are supported by the state but the majority of them effectively disappear and enter into the ‘black economy’." 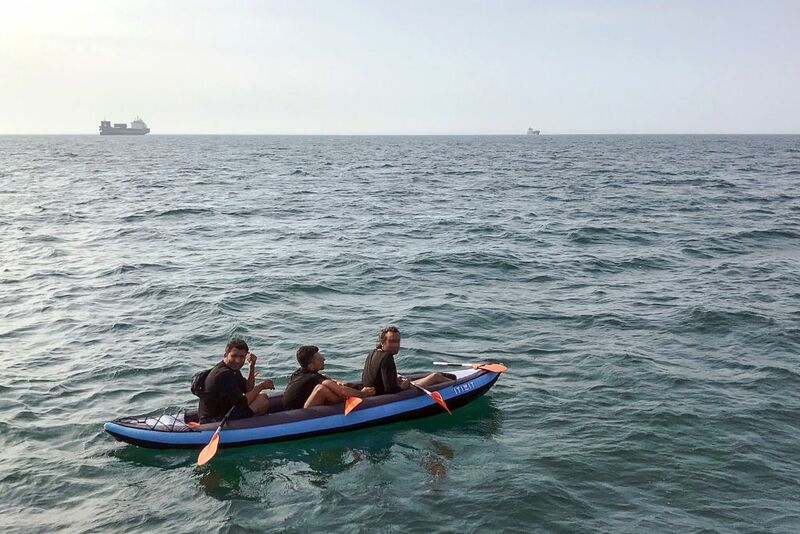 Three migrants attempting to cross the English Channel in an inflatable canoe. Mr Wood, who was Theresa May’s Director General between 2006 and 2015, warned that “organised crime” is often behind the illegal migration. “There is a considerable risk that it will get worse because the major traffic in migrants is still in lorries coming across the Channel from Calais, Northern France and Belgium,” he said. “You are also seeing the dinghy crossings. Certainly if there is not an intervention stopping them and returning them to France, it will escalate enormously. “It is not particularly easy to come across in lorries because they might have to try 20 or 30 times. They might have to keep jumping on lorries for six or nine months before they are successful. “When they are searched at Calais, most of them are found each time. With the dinghy crossings, they get halfway across the Channel and then get rescued and taken to the UK. “No one is suggesting that they are not rescued but my suggestion is that they should be taken back to France.